Huge glass beer stein that holds a litre of liquid. 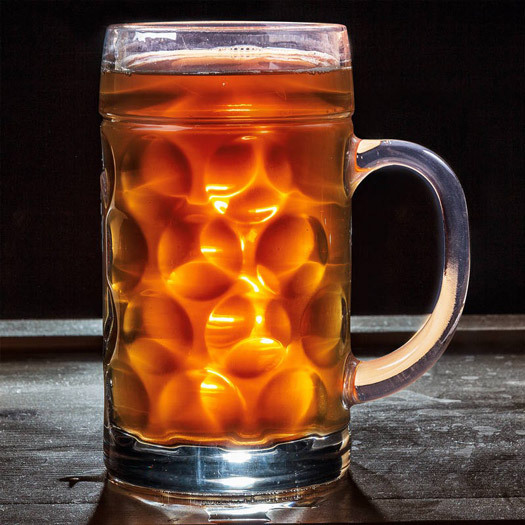 The outside of this classic-look beer glass features a textured design on the outside as well as a large handle on one side. This extra-large novelty drinks container makes for a very popular gift line, especially around male focussed holidays such as Father's Day or birthdays.